The rabies vaccine is considered an “essential medicine” by the World Health Organization. Effective and safe, it’s vital to health systems around the world. Since the first rabies vaccine was administered to a human by French scientists Louis Pasteur and Émile Roux in 1885, it has been continuously improved. The industry that produces them has matured accordingly. Its adoption worldwide means that while rabies once had a high death toll, people face a comparatively low risk of catching the disease today. But in recent years, several cases of fake vaccines have provoked an outcry in China, the most recent being that of Changsheng Bio-tech. Industry sources told NewsChina fabrication lowers production costs and allows producers to reap greater profits. In China, vaccines for immunization are divided into two categories. Category 1 vaccines are free and compulsory for all – with the State footing the bill. These include the hepatitis B vaccine, bacille Calmette-Guerin (BCG) for tuberculosis, the oral polio vaccine, the combined diphtheria, tetanus and pertussis (DTP) and others. China’s National Development and Reform Commission (NDRC) fixes the prices of these. Category 2 vaccines, which are voluntary and paid for by consumers, include the chickenpox vaccine, flu vaccine, pneumococcal vaccine (for pneumonia and meningitis) and others, with their prices set by the market. Provincial disease control departments generally purchase category 2 vaccines at factory prices directly from manufacturers. Then they sell vaccines to city level disease control departments and further down to lower level ones. One senior staffer at a provincial disease control department told NewsChina in late July that the price of category 2 vaccines can be increased by at most 15 percent by each lower level disease control department. For example, according to a document released by the Henan Provincial Development and Reform Commission in 2008 on the regulation of category 2 vaccine prices, provincial disease control authorities can charge no more than a six -percent mark up when selling vaccines to lower city level disease control departments, while the city level can charge no more than 10 percent of the price to the county level; and the county level can add up to 15 percent of the price to lower level vaccination clinics; vaccination clinics can charge no more than 20 percent extra price of patients. Accordingly, the preliminary purchasing price for human-used rabies vaccine was 120 yuan (US$17) per dose in 2010, and the final price charged to inoculators at the clinic was more than 193 yuan (US$28) per dose. Right now 12 Chinese companies are certified to produce human rabies vaccines, and two transnational enterprises are allowed to export vaccines to China. Of all the major producers, Changsheng has enjoyed the greatest rise in market share for the past few years. For example, its rabies vaccines increased from 10 to up to 25 percent of the national market from 2014 through 2018. The fast growth of the company, however, has had a hidden cost. 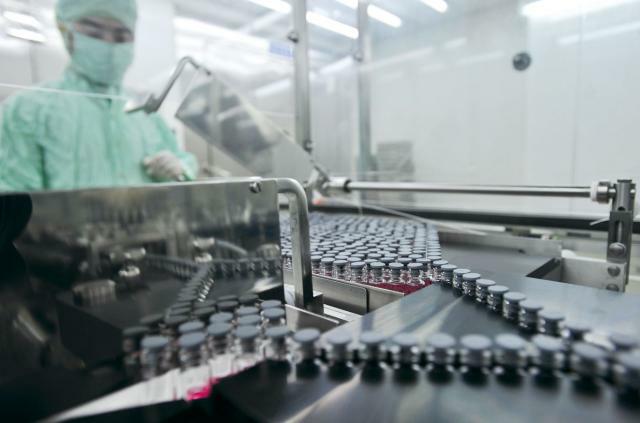 According to China Judgments Online, since 2003 various vaccine products produced by Changsheng, including for rabies, flu, chickenpox and hepatitis A and B, have been connected with cases of bribery. The court file suggests Changsheng has bribed more than 20 government officials across four provinces in recent years. After the scandal broke in late July and the State Drug Administration (SDA) revoked its GMP certificate – a license to produce the formulations – Changsheng stopped making human rabies vaccines. Though Changsheng’s production of rabies vaccines accounts for a significant portion of the domestic market, industry insiders claim the Changsheng case may not bring down the whole domestic vaccine industry. “Other major companies enjoy flexible production capabilities, and the market gap can be filled in a timely manner by other producers,” said Tao Lina, an industry insider and vaccine expert. According to a statement from Liaoning Chengda Biopharmaceutical Co, Ltd. another major rabies vaccine producer, the vaccine is oversupplied on the domestic market and the price may hike up to three times from the factory price to that paid by those performing the inoculations. Thus the fierce competition between more than a dozen producers has made purchasing chaotic and price wars unavoidable. In late July, the SDA claimed a total of 252,600 doses of substandard DTP vaccines were sold by Changsheng exclusively to Shandong Province. The SDA also released the results of spot checks from late 2017 which found a batch of 400,520 doses of DPT vaccines produced by the Wuhan Institute of Biological Products Co, Ltd. also failed to meet standards. They said the main issue was a short-term failure of packaging equipment. Of the total, some 190,520 doses were sold to Chongqing City Disease Prevention and Control Center, with the remaining 210,000 sold to its analog in Hebei. In 2017, China’s National Institutes for Food and Drug Control (NIFDC) performed sampling inspections of four batches of DTP vaccines from disease control centers and producers. Three of these were from Wuhan Institute of Biological Products Co, Ltd. and one was from Changsheng. Two problematic batches were found. According to Tao, if a producer reports 20 batches of vaccines to the NIFDC for approval each year, all 20 batches should face a sampling inspection for their safety while only five to 10 percent – say one or two batches – would be inspected for potency. If the potency of the vaccine fails to meet the standards, it will not protect people from the target disease. According to China’s Pharmaceutical Administration Law, the vaccine manufacturer is responsible for the vaccine’s safety and efficacy before it is submitted to the National Institute for Food and Drug Control (NIFDC) and goes to market. The NIFDC then process on batch release permits to the vaccine producer according to industry rules. The batch release procedure requires the NIFDC to test the potency of the vaccine through sampling inspections on five to 10 percent of the total batch. China has 45 approved vaccine manufacturers. According to the NIFDC’s 2017 Bio-Product Batch Release Annual Report, the application for a total of 45 types of vaccines by producers amounted to 4,404 batches, of which 4,388 batches (approximately 712 million doses) met the standards, and 16 batches failed to make the cut. It takes around six to eight weeks to test the potency of the vaccine. Tao said regulators adopted sampling inspections, rather than a thorough inspection of all batches, to guarantee vaccine supply. “The five to 10 percent random inspection regime meets the International peer practice rule, a choice the supervision organization adopted to ensure both safety and efficacy,” said Zhao Nan, a health column blogger with more than five years’ experience in the vaccine industry. On July 24, the SDA released a statement saying it would conduct spot checks on all vaccine producers nationwide, and improve domestic vaccine management. 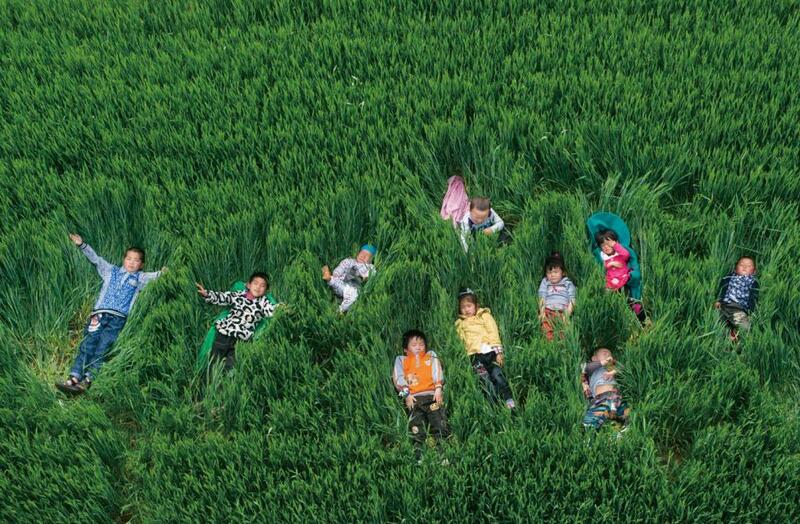 Since late July, local authorities in Shandong have told the public to prepare for a round of re-inoculation. The bad vaccines went to eight cities in the province and accounted for four percent of the total DPT vaccines administered in Shandong. According to 2015 statistics released by the Chinese Academy of Industry Economy Research, Changsheng accounted for 27.37 percent of the national DPT market that year, while Wuhan Institute accounted for 72.63 percent. Considering the long cycle of DPT vaccine production, industry sources told NewsChina it could take a while to overcome this shortfall. Another issue of concern inside China is reform to the production engineering of the vaccine itself. Tao previously wrote an article expressing concern about the lack of innovation in whooping cough vaccines internationally, as well as domestically. Official statistics suggested that from November 2016 until August 2017, incidences of whooping cough among children nationwide increased from 410 cases per month to 1,605 cases per month. “It is time for the country to conduct reform of the production engineering of whooping cough vaccines,” Tao told NewsChina. DTP vaccines also need price reform, Tao said. As a category 1 vaccine funded by the government directly, the purchasing price remains at a low 3.4 yuan (US$ 0.5) per dose, while an imported dose of DPT vaccine costs around 200 yuan (US$ 29.3). As predicted by Tao, the production cost for an upgraded DPT vaccine would be around 50 yuan (US$7.25) per dose if new engineering technology is adopted in the future.